Ready for construction? Grab your tools and discover what it takes to rebuild a house from disaster to “Wow!” A fixer upper makeover is like what God does in our lives. So get ready for kid’s lives to be totally transformed! Our construction-themed VBS focuses on cooperative activities in order to build kids up. Fantastic music leads kids to celebrate what God can do in their lives! Creativity and an emphasis on art that has a strong connection to the Bible story is central to our crafts program. Each day kids learn a Bible verse that goes with the Bible story and they dig into what it means to know Jesus as our Savior. Snacks offer a range of options from healthy to fun. Who doesn’t love a root beer float that transforms two ordinary ingredients into something extra special? 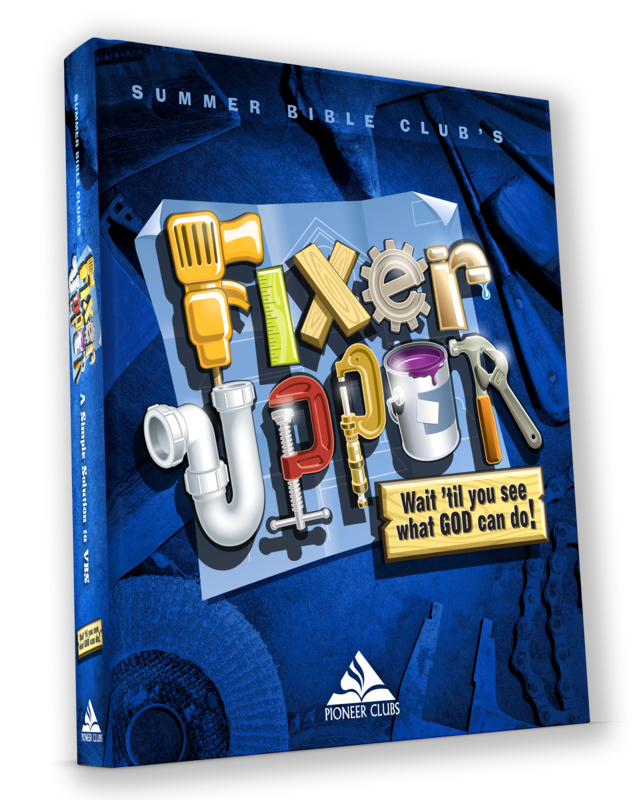 Fixer Upper VBS helps kids understand that God is in the business of taking the ordinary and turning it into the extraordinary.